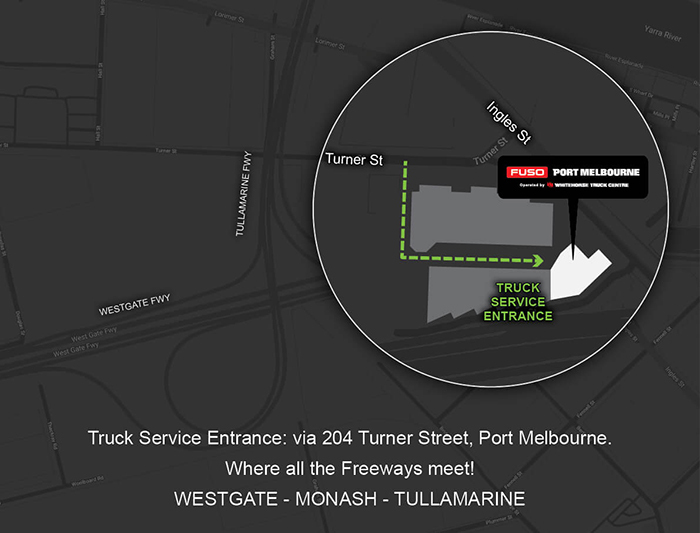 At Fuso Port Melbourne (formerly Whitehorse Truck & Bus) choosing your truck or bus is just the beginning. We're there for the life of your vehicle. Fuso Port Melbourne has a wide range of support services designed to make maintaining and repairing your vehicle as easy as possible. With expert support from our factory trained technicians, you can be confident knowing you've always got a great Service team behind you. Best of all, at Fuso Port Melbourne our service solutions are specifically tailored to minimise downtime. From our 24-hour roadside assistance hotline, to extended hours servicing at our dealerships, we do what it takes to keep you on the road.